If you haven’t bought all your Christmas gifts, take a look at these really cool gifts – you still have plenty of time to order before the big day! 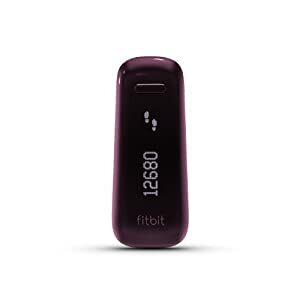 It’s like a pedometer on steroids, and we have reviewed it before, but the cool thing is that FitBit now has a number of different options, as low as $59. You can choose the Zip or the One – each gives you different features- you will be able to log steps, stairs, calories burnt, and even monitor your sleep. It’s cute and small, and perfect for a girly gift. Amazon is still selling the older model Ultra – which we love! Lou Schuler and Alwyn Cosgrove deliver an outstanding plan for building muscle, strength and torching body fat. 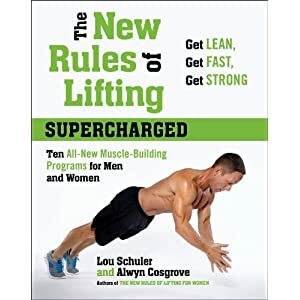 This is the fifth book in the series The New Rules of Lifting and my most favorite of them all. You will be blown away by the new programs, and you will get to play with different levels of difficulty of exercises, so you are always challenged and your workouts are supercharged! All of this is delivered with Lou’s entertaining and engaging style, so once you start reading, there is no putting the book down! If you know someone who is truly a health and nutrition geek, this is an excellent gift for them. Alan reads through mountains of scientific research articles so he can digest and deliver usable, unbiased and very necessary nutrition information. The Research Review is a huge time saver for the research hungry reader and a read that I enjoy very much! Buying a subscription is easy – go for at least 6 months, the review comes out monthly! I love that you can ”gift” the Kindle version pretty much right away, but paper is paper and I like that we have both options for you. If you haven’t heard it already, our book is like 4 books in one: it teaches you how to form healthy habits, it helps you understand confusing and often conflicting nutrition information, it delivers an awesome 3 month training program and a guy friendly cookbook. Excellent for anyone in your friend or family circle – it changes how you look without changing who you are! As a Restorative Exercise (TM) Specialist, I cannot tell you how huge the power of those exercises is. These DVDs are the perfect gift for anyone who needs to spend time stretching, getting to know their body and becoming healthier. From the weekend warrior, through the athlete, to your mom and grandma, everyone should own these! 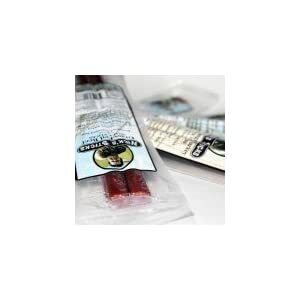 These jerky sticks are a healthy eaters dream. Made from grass fed beef, they are additive free, have no artificial ingredients and provide great taste and nutrition. Since one rarely just shells 30+ dollars for jerky, it would be a great way to surprise a paleo or low carber friend. Tie a ribbon around some jerky, add a card – it’s a gift! This coffee tastes very clean and crisp, has no bitter aftertaste and it mixes heavenly with grass fed butter to make a cup of high energy coffee in the morning. It’s free of toxins and molds and is hand harvested. It’s a perfect gift for coffee lovers, as it’s not something you can just get at the store. Roasted to perfection, we give it 10 out of 10 points! It’s one of those things we put off – who needs to spend the money on relaxing when you can go buy a new pair of shoes? When we are given a massage as a gift, we are more likely to go and enjoy it. Massage is a heavenly way to tell someone you care and the health benefits are so many – from relaxation to pain relief to to nervous system and organ health. Help your spouse or friend relax. One extra advice I have when you give someone a certificate is also to ask the massage therapist or studio to call them in a couple of weeks and schedule the appointment. Or other workout equipment. 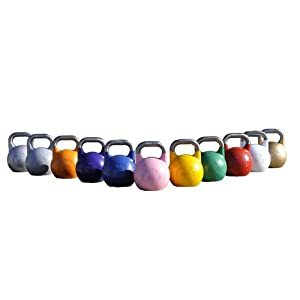 In my opinion a kettlebell looks prettiest of all things under a Christmas tree, but hey, you can wrap a dumbbell, an ab wheel, training ropes, a yoga mat, a pull up bar, TRX, a sandbag or even a hammer to beat on a tyre. Whatever your family or friends do for activity, find something to keep them doing it more! 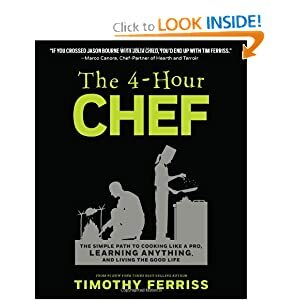 It’s traveling toward us as we speak, so we haven’t read it yet, BUT the book is about learning, using cooking as the method to teach you new ways of acquiring skills. Cooking and learning, along with eating and moving are among my favorite things, so need I say more!!! Get it get it! There is more, I know. I could spend days telling you about the cool things I see and find online, but hey, we can keep that for another time. 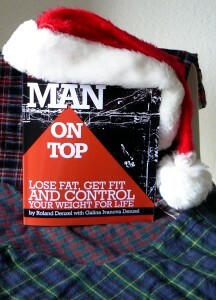 Man on Top: Lose Fat, Get Fit & Control Your Weight for LIfe! With workout, you need muscle strength and stamina to keep you going. This foods can help you. Hope this helps.